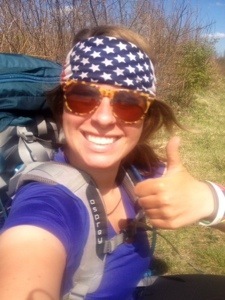 This entry was posted in Appalachian Trail, Thru-Hiking. Bookmark the permalink. We know exactly where you were at the Fontana Dam. We rode past it last week a few times on our travels. The scenery where you are is absolutely breathtaking. Wish we could have met up! Did you happen to go through Cherokee, NC? We saw some hikers along the road and thought of you. I didn’t tell your parents what you were going to be up to that night – lol. Hope you had fun. Our cabin neighbors did the same thing. The girl tasted 20 samples but only liked 17. oohh hangover ?